This little blondie girl is ready for bed with her lambie and her blankie. Designed by Mary Engelbreit, she is approx 6" x 2.5" and is made of resin. 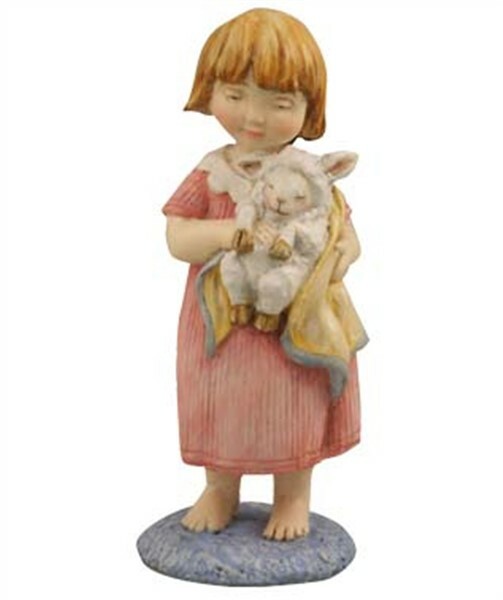 Display her at Eastertime, in a baby's nursery or a young girl's bedroom. You will love her!